9033 Rhine, Texarkana, TX.| MLS# 100397 | Travistene Turner of Texarkana Realty Group 903-244-1293 | Texarkana Area Real Estate | Contact us to request more information about our Homes for Sale in the Texarkana Area area. Old world meets rustic French Country with a modern twist in this 4000+ sq. ft. home located in the Riverlands. The extraordinary detail on this one can only fully be understood and appreciated by experiencing it in person. 3.62 acres of room for your family. 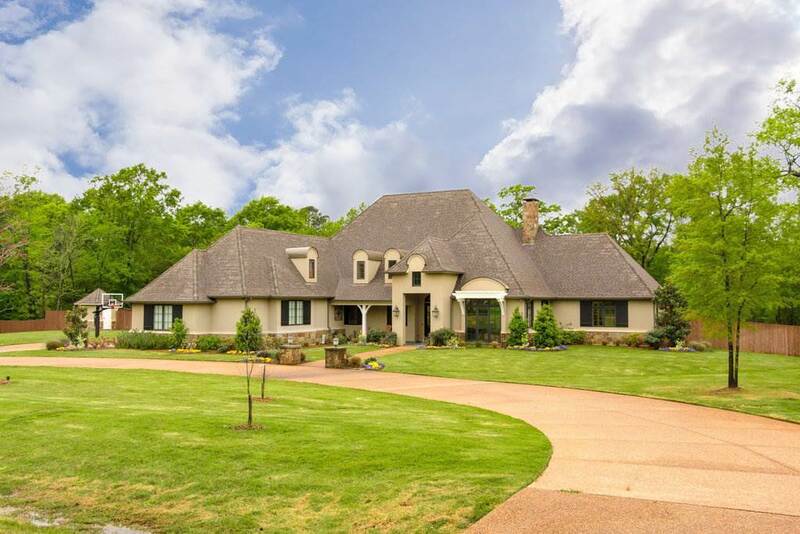 4 bedrooms and 3.5 baths with a bonus and exercise room. The kitchen is massive and designed to have a great work flow with wide walking areas around the custom island. Wolf and Subzero appliances indoor and out are a chefs dream. Pennyslvania Blue stone on the patio and porch with Cambria Quartz countertops throughout inside and granite outside. Kohler plumbing fixtures, soft close EVERYTHING! Heavy, Knotty Alder doors that were hand stained and Jeld Wen custom casement windows. CHECK OUT THAT LAUNDRY ROOM! There is SO much more..